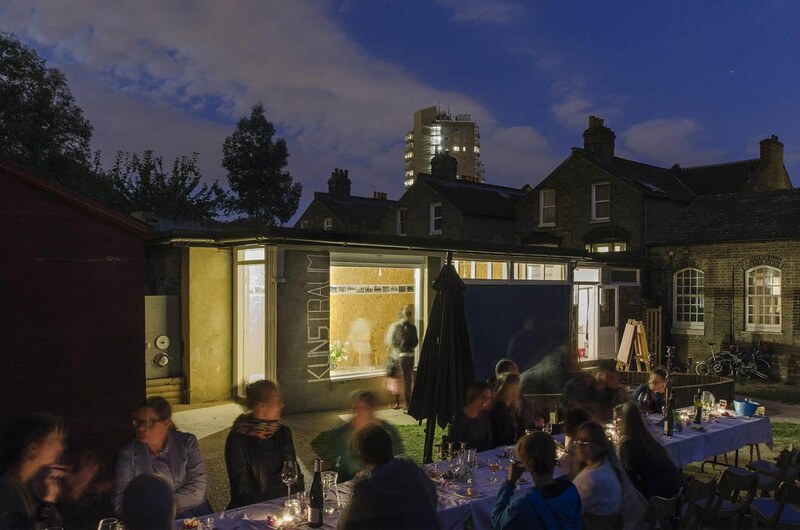 The Kunstraum project is the latest of a series of art and play interventions at the premises of the German Kindergarten in Brixton. 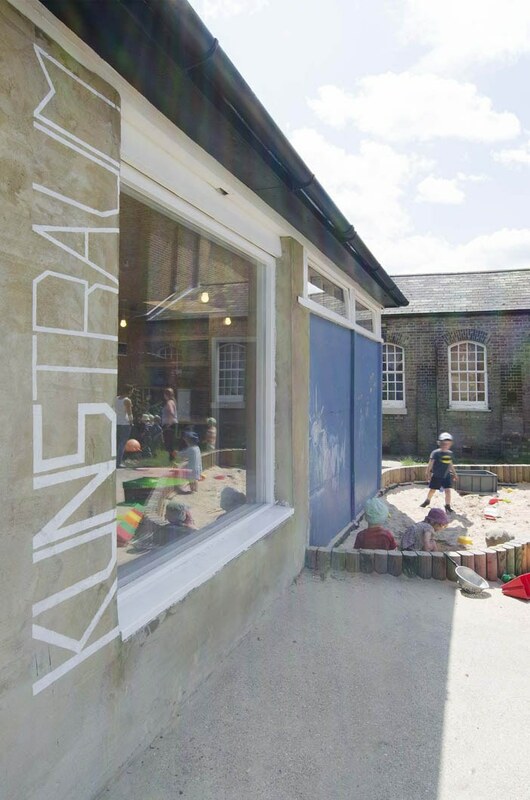 The kindergarten is situated within an old Victorian school and due to popular demand had to look at creative ways of expanding the provision. A disused, asbestos-infested, wc block is not what usually comes to mind when you think of art. 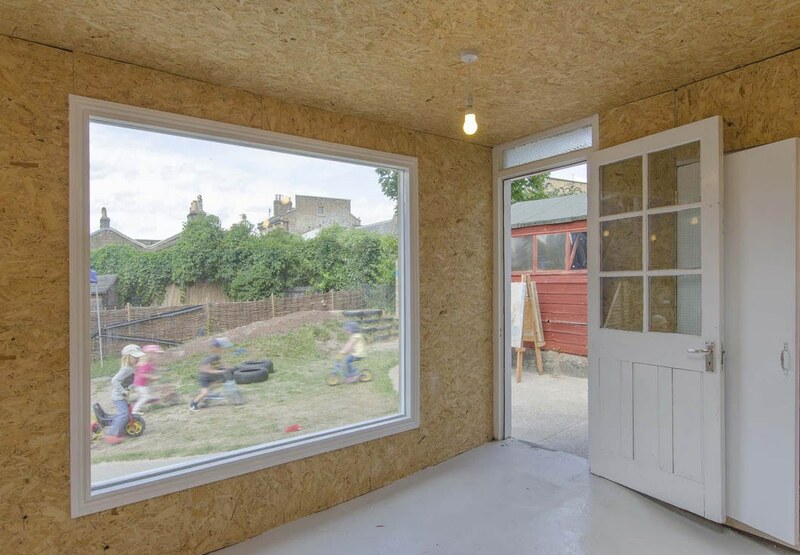 Yet, after carefully removing all traces of contamination the outbuilding turned out to be spacious, and ideally located next to the new playground. 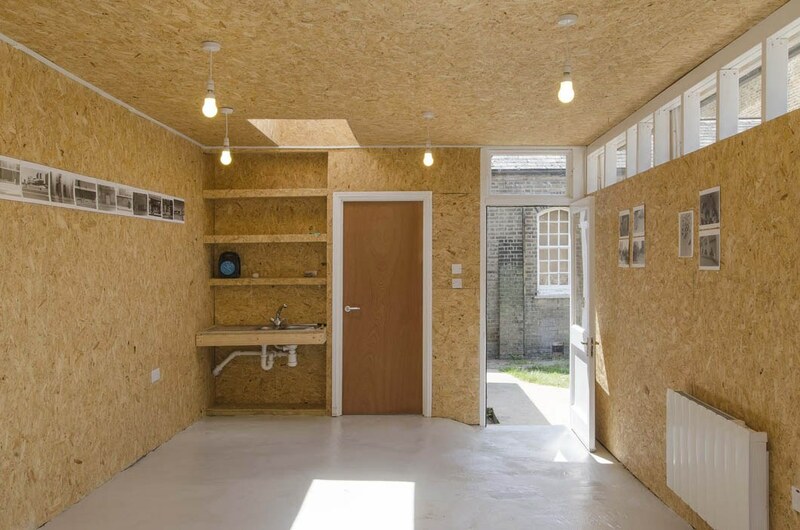 Due to budget constraints, the fit-out was carried out in very simple materials such as OSB sterlingboard. This not only freed up money for a very large window communicating with the playground but it also provides a backing to ad-hoc modifications by its small users. The space is being used for programmed events such as exhibitions, lectures and other community events.